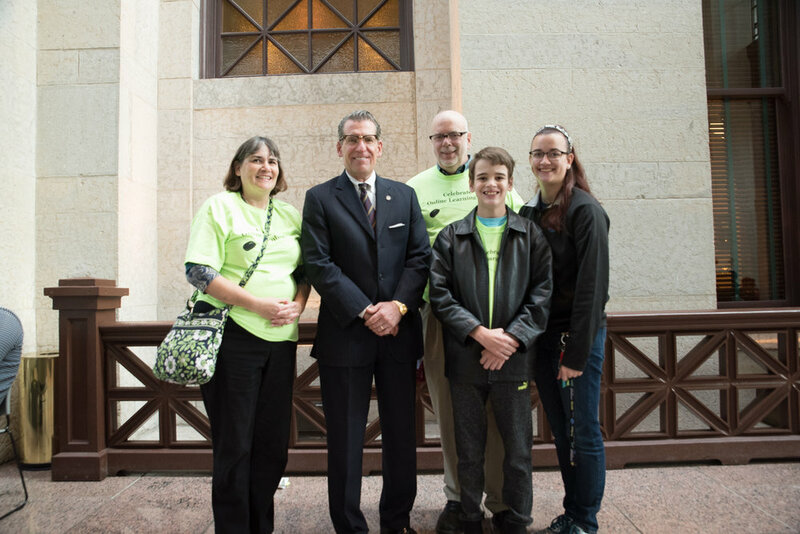 The Ohio eSchool Coalition wants to extend a huge THANK YOU to all the legislators and aides that were able to attend the 2016 Online Learning Day on November 16th at the Ohio Statehouse. We are grateful you took time out of your busy schedules to listen to families who are thankful for school choice - an option you have helped keep available to Ohioans. Our families continue to express their excitement and appreciation from the event and from meeting you. We look forward to working with you to continue to keep school choice, eSchools in particular, an option for all families. Happy holidays! Older PostOnline Learning Day Photos Are Here!